As a handy man there is a tool we all hold dear and carry with us on every job. This is by far the coolest tool in our tool box. I’m talking of course about the driller/driver. The drill/Driver is the coolest tool to any handy man, espacialy the cordless drillers/Drivers. A cordless drill/driver is a tool designed to drill holes and drive screws easily and rapidly unlike a screw driver. A drill is a keyless chuck. It accepts a wide variety of round- and hex-shank drill bits and screw-driving bits, as well as hole saws, rotary sanders, wire-wheel brushes, and other accessories. All cordless drill/drivers are also equipped with a slip clutch that allows you to adjust the amount of torque for precise, consistent screwdriving. Since a few years now, more and more people are turning to impact drivers. What is the difference between impact drivers and Cordless drivers? 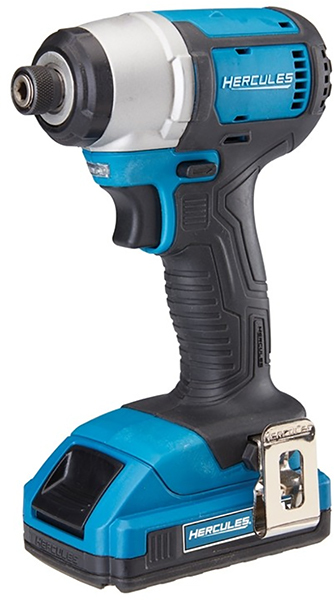 Impact drivers are very similar to cordless drivers, but more stronger. An impact driver is a tool design to drive screws like cordless drill/drive. Unlike cordless drills, the impact driver does the job faster and easier. It uses a rotational and downward force to loosen screws, bolts, corrosives srews and others. An Impact driver delivers two to three times more torque than a normal screw driver. An 18 volt impact driver can drive till 138 inch lag screws on a single charge. Impressive right? It uses a high energy torque which is directly transfered to the screw. Impact driver are useful for jobs requiring lots of screws such as building a deck or screwing plywood floors. 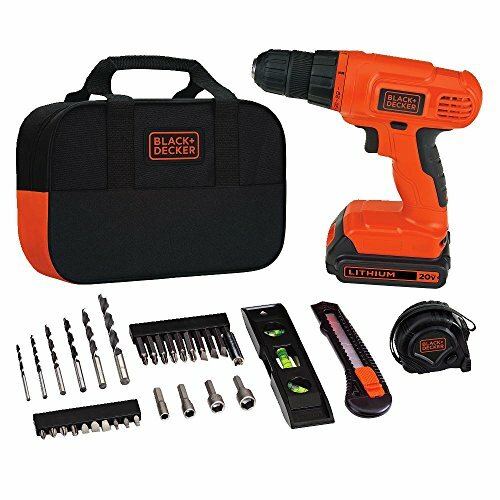 When looking for an affordable cordless drill or impact driver, Amazon and Harbor freight have a good selection of high affordable tools including impact driver and cordless drill. Harbor Freight also offers a coupon discount. 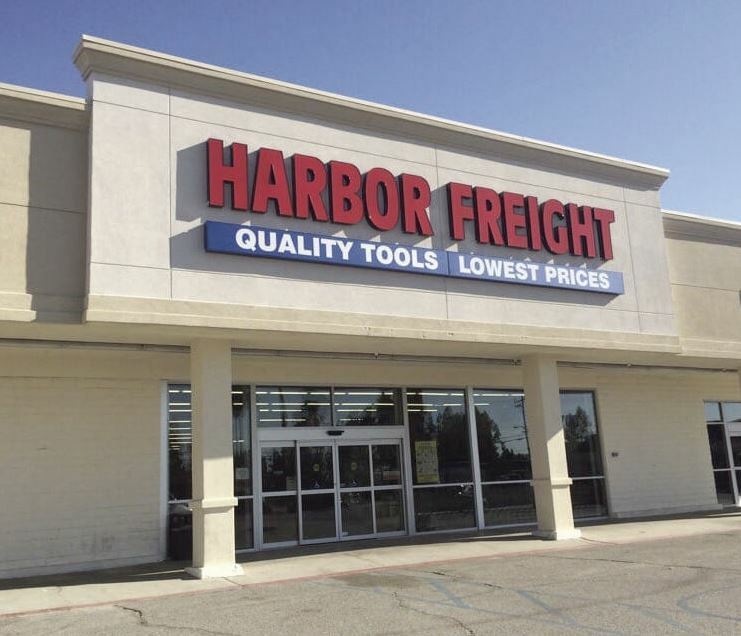 Harbor Freight tools is a large chain equipment store based in California. The chain has more than 700 stores selling equipments sourced directly from manufacturers or manufactured by Harbor Freight itself. One of the reliability buying from Harbor freight tools is –that you can be confident of the equipment quality. All equipments at Harbor Freight tools are double tested internally by a team of expert for quality insurance. This procedure guarantees that the customer gets only quality products. If you are a handy or DIY person, Harbor freight store is the place to find all your handy tools and equipments. At Harbor freight you can find all types of equipments both for professional and amateurs such as drillers, hammers, etc. More importantly Harbor freight sends via a mail order service coupons to get extra discounts on your equipments. Harbor freight coupons can also be requested digitally. You can save up to 50% on some items. By signing up to receive the Harbor Freight coupons saving can help you save a lot of money. Harbor freight tools shops are available in all major cities across the USA. If you are looking for a store to redeem some of your Harbor freight coupons, we invite you to visit the Harbor Freight site to find the nearest shop to you. In our previous article we reviewed the Harbor Freight Hercules drill and compared it with other drills like the Dewalt. Several people wrote in about a new line of Harbor Freight Hercules cordless power tools. The first person who mentioned them said they looked like Dewalt rip-offs. I do see resemblances in the tools, specifically how the handles and battery packs are shaped. There are very strong similarities. I suppose there shouldn’t be any surprise then, for Harbor Freight to be drawing a comparison between their Hercules cordless drill and Dewakt’s DCD780C2 kit (which is now said to be built in the USA). As an aside, I’d consider Dewalt’s newer mass market-aimed DCD777, a compact brushless kit to be a more neutral comparison. It’s nearly as fast and powerful as the DCD780. 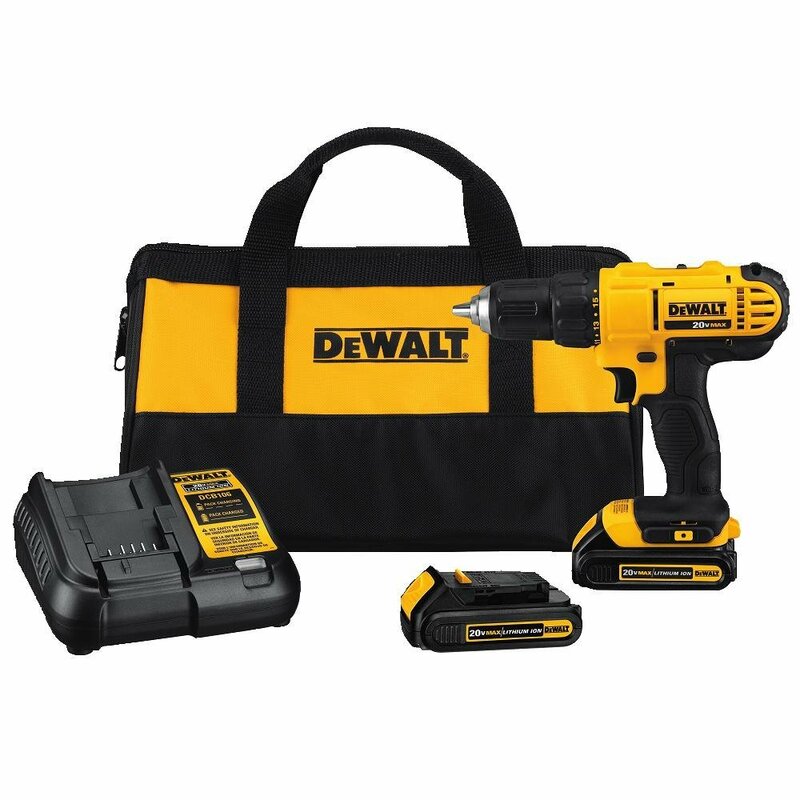 It actually beats the Harbor Freight 20V Hercules drill kit on price too; the Dewalt kit is $99 with (2) battery packs. 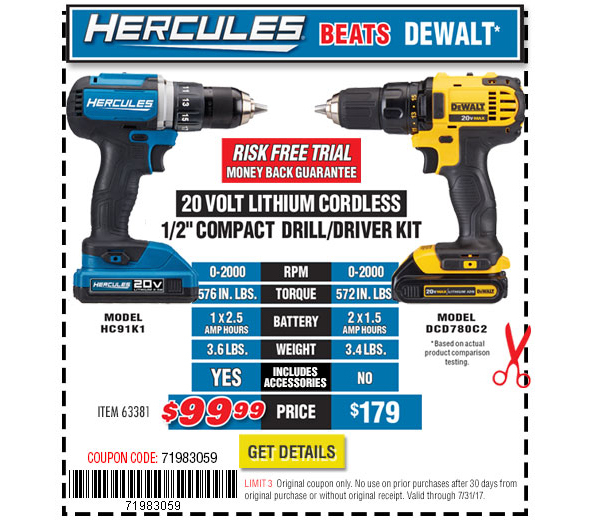 What strikes me as odd is that Harbor Freight is calling the Hercules a 20 Volt cordless lineup. Not 20V Max? What’s also odd is that there are several new or at least new to me 18V-class lineups – Hercules, “Earthquake XT” that looks to be a Milwaukee M18 clone, and a new lower-spec’ed Bauer Hypermax lineup. For these new Hercules tools, it looks like Harbor Freight duplicated Dewalt’s 20V Max ergonomics and battery pack styling as close as they could. Maybe the battery packs are even physically compatible? I’d ask someone at Harbor Freight for more information, but I haven’t had any communication with them for several years. They once asked about our review process, and I gave them the usual spiel, about how we test tools objectively and fairly and won’t accept money, and never heard back. The new cordless drill is said to be on-par with Dewalt’s older DCD780 model. 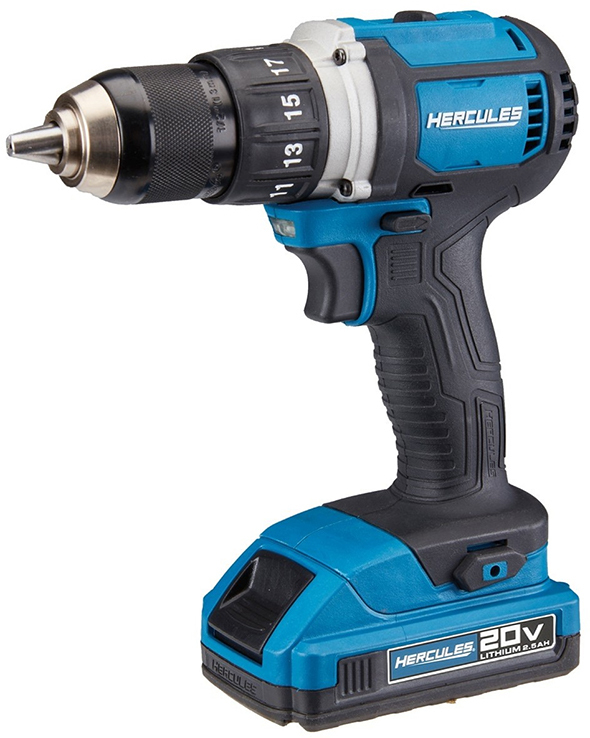 Instead of (2) 1.5Ah batteries that come with that kit, this Hercules drill comes with a single 2.5Ah battery pack. On paper, the Hercules drill has competitive specs. They say it “compares” at $179, but I think that’s a little misleading. The Dewalt 20V Max brushless DCD777 is currently $99 via Amazon. I’d much sooner buy that Dewalt kit than this Harbor Freight Hercules one. What about Milwaukee’s seasonal bargain 2606-21L kit? It’s still $99 at Home Depot and comes with a compact cordless drill, worklight, 1 battery, and a charger. The Hercules drill kit, according to Harbor Freight specs, is a little faster and more powerful. And it comes with a larger battery pack. But the Milwaukee kit costs less. I’m thinking that they designed their Hercules cordless drill with Dewalt’s DCD780C2 kit in mind for direct comparison. I’d guess that it was a cherry-picked comparison, but given how it looks a lot like Dewalt’s model, the comparison intention could have influenced the product design. There’s a Hercules cordless hammer drill as well. And there’s also a Harbor Freight Hercules cordless impact driver, with max torque spec’ed at 1500 in-lbs. I bet they’re not going to draw any comparisons with Dewalt’s DCF885C1 impact driver kit, which is still at its seasonal price of $99 at Amazon. The Harbor Freight Hercules model costs more – $110 – although it probably goes on sale for $99. It’s said to be a little more powerful, and also comes with a 2.5Ah-rated battery compared to Dewalt’s 1.5Ah. But for the same price, which would you buy, the Dewalt or the Harbor Freight Hercules? I also spotted new (or new to me) Hercules power tool accessories – drill bits, impact screwdriver bits, and masonry bits. What I found both curious and somewhat ironic, most of the features of the Hercules drill bit set had their own trademarked branding. There’s the BlueBraid titanium coating, StarterPoint tips, and Tri-Flat shanks. The Hercules drill bit set is said to deliver Legendary Performance. I don’t have the greatest impression of Harbor Freight, especially in regard to power tools. But Harbor Freight’s new Hercules cordless tools say all the right things, on paper. There’s also described as being jobsite tough. I’m also seeing legendary performance being thrown around for both the tools and new Hercules power tool accessories. It’s hard to take these tools seriously, first given Harbor Freight’s reputation of cheap throwaway tools, but second because these look to be heavily copied designs. They’re too similar to Dewalt’s tools to simply be “inspired.” Color the Hercules tools yellow, and I’m sure there would be confusion. 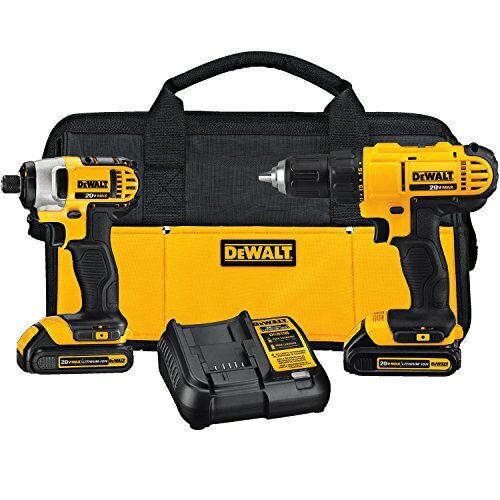 The battery pack looks similar enough to where it might be mistaken as Dewalt’s, and the same with the drills and impact driver, based on the shape of the handle. That wouldn’t be a very good start for the new Hercules cordless tool lineup, but here’s the question that’s nagging me. What if Harbor Freight is seeking to produce jobsite tough tools? What if they’re serious about delivering legendary performance? The tools look good on paper. I’m curious. If I could forget about the similarities with Dewalt’s styling, I might even be excited. But something else is holding me back from getting excited. These tools, and the Bauer Hypermax and Earthquake XT tools, look to have been designed to “compare” with higher priced tools. So were they designed to do similar work for less money? If so, is anything about the tools special? So when something is copied, some of the “why” can be lost, leading to something that looks similar but is not quite the same. In regard to tools, this can mean compromises in performance, durability, runtime, ergonomics, or overall quality. What will Harbor Freight do next with their Hercules lineup? More tools, or will they stop here? And what about the “based on actual product testing” part of their comparison claims? Whose product testing? Because we all know how objective,fair, and balanced tool brands are when comparing their tools against other brands’. The top 6 best lawn mowers selection under $600: Selecting a lawn mower is never an easy task. Maybe you just bought your dream house with that beautiful garden or your old lawn mower is not serving you much again and you are looking to buy a new one. Searching for the best lawn mower for your lawn can be sometimes challenging especially when you have a limited budget. How much would you like to invest in a new lawn mower? Price – when you have a limited budget, price is definitely the first criteria you look at. 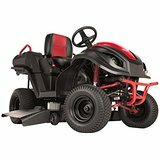 Features – Although price might be the first thing you look at but features are equally important as they define the quality and the best lawn mower for your lawn type. Our first selection of the top 6 best lawn mowers is the GreenWorks 25022. The GreenWorks 25022 lawnmower is a powerful beast, thanks to its whopping 12 AMP electric motor- you should have no problem cutting through grass with this baby. It also features 20-inch steel blades to get things done even faster and lightweight at only 56 lbs, and extremely cost effective. It’s perfect for anyone who wants to get their lawn mown properly while still sticking to their budget. Our second selection of the top 6 best lawn mowers is the Sun Joe Mow Joe’s. Why should smaller lawns get the short shrift? Thanks to Sun Joe Mow Joe’s 14 inch 12 Amp Electric mower, you can now mow smaller lawns quickly and easily, with the same power you’d expect from a larger model. This mower is certainly lightweight, as it’s only 28 lbs, so even if you only have a small storage space, you can still make room for it. However, it still packs a 12 AMP electric motor and a 14 inch cutting deck. With this the job will be done in no time. If you’re serious about mowers, then this is the model for you. As a self-adjusting lawnmower. There’s nothing that this machine can’t handle. It’s packed with features, from 3-in-1 functionality that mulches the lawn as you go and a range of cutting heights. It also has an extremely impressive 49-inch cutting deck, greatly reducing the amount of time you spend mowing. The Green Works 25302 has a powerful 90-minute battery so that you can get the job done in one go. This one’s a little different. Scott’s 2000 Classic Push reel lawn mower features a hand-operated dynamo. It was created with mulching in mind. Scott’s 2000 Classic Push reel lawn mower might be better suited to smaller gardens, but it’s a sure-fire favorite among gardeners because of its ease of use. It comes with nine different cutting heights. It’s also extremely affordable and retailing at around $100. Scott’s 2000 Classic Push reel lawn mower gives you the performance and control needed to mow your lawn just the way that you like. If you’re particularly infuriated by spilt oil, smelly fumes, and noisy motors, then the Fiskar’s Staysharp Max Reel Mower is just the lawn mower for you. A lot more environmentally friendly than your typical mower, this can cut up to 4 inches of grass, of any type, so it’s great for even the most unruly of lawns. It also comes with an innovative flywheel that helps to give that little bit extra manoeuvrability, and packs a powerful punch thanks to its Inertia Drive system. Our selection of the top 6 best lawn mowers will help you safe money. They are guides for beginners to have in mind while selecting a lawn mower. For those interested in large scale mowing and commercial, make sure to read our related posts. I choose Zero Turn Mowers because……? Zero Turn Mowers, or ZTRs, are able to complete a perfect rotation on the spot- very handy for reaching those difficult spots on your lawn, and very fun to drive around. Zero turn mowers are easy to get used to. Since they don’t have an acceleration and brake pedal. They steered using handles on either side to control each individual wheel. This means that they need regular servicing, but it also gives you an unprecedented control over your machine. How Do You Drive a ZTR Mower? Essentially, driving a ZTR mower is like pushing a shopping trolley. You push both handles forward, and the further you push them, the faster you will go. To slow down, simply ease off the handles. Steering is simple, too- to turn on way, push the corresponding handle forwards while keeping the other one in neutral. This spins one wheel while keeping the other one still, so that the mower can make a complete, 360-degree rotation on the spot. Why Choose a Zero Turn Lawn Mowers? With a Zero Turn mowers, you could cut your mowing time in half. If you have a large lawn that takes a long time to mow, then a ZTR mower could be just the thing for you. While tractor mowers can be imprecise and miss patches of grass near trees and other obstacles, Zero Turn mowers allow you to get into all those nooks and crannies, so you can do the whole job in one go. With just a little practice, you can use your ZTR mower to get that perfect bowling green look on your lawn at home. Just like pushing a shopping trolley, driving a ZTR mower is simple and intuitive- as well as being a lot of fun! If you properly maintain your Zero Turn mowers, and keep to all the safety precautions, then you can be sure that your ZTR mower will still be a trust companion many years in the future. ZTR mowers are a great choice, but there are a few negatives that you should be aware of. Most importantly, ZTR mowers aren’t suitable for going up slopes of more than 15 degrees, as the mower could tip over. If your garden has a few small areas that are sloped more than this, then you can always use a push mower to clear these bits of the lawn. They also don’t perform well on wet grass, as the weight of the mower leaves you prone to slipping and losing control of your machine. It’s therefore best to only use them in dry conditions. There’s also pollution to consider. Since ZTR mowers can be slow, and use large gasoline engines, they can use up quite a bit of fuel, which obviously isn’t that great for your garden. You’ll also likely find yourself frequently refilling the tank while you’re in the process of mowing. Their hydrostatic transmission requires frequent maintenance, too, or else parts can leak. However, they make up for all this by decreasing your mowing time by up to 70%, so that lack of fuel efficiency is offset. Having read through the above, you have probably already made up your mind about whether or not you want a ZTR mower. But what kind do you need? There are actually five different types of ZTR, in all different shapes and sizes. For most owners, anything below a commercial grade ZTR will do the job just fine- we’ll take you through what each option has to offer below. As with ride-on mowers, ZTRs have a compact version that’s smaller and easier to store. They’re about half the size of your standard model, and their cutting decks usually range between 32 and 42 inches. Zero turn mowers are more environmentally friendly because of their smaller size, and pack plenty of punch for a very affordable price. ZTR are only a little more than a typical ride-on mower, so it might be worth spending that extra money since you get a lot in return. These ZTR mowers have cutting decks between 42 and 54 inches. Their larger size means they offer plenty more cutting options, as well as a bigger, more powerful engine. Some even come with nifty extra features, like hour gauges, foot assisted deck lifts, electric clutch, and much much more. If your lawn is between 1.5 and 2 acres, then a residential ZTR mower will get the job done for you. These ZTR mowers are roughly the same size as a residential model, but they’re better put together, and as such are more durable and feature a larger engine. They’re better suited for tough terrain as a result, and usually have a fabricated deck, rather than the stamped deck that most residential mowers have. With heavy duty transmission, more comfortable seats, and the ability to add larger accessories, the estate class will be more than enough for most homeowners. These models are for those with a lot of land to cover, but who don’t want to go the whole hog with a commercial ZTR. They’ve got all the basic features of commercial ZTRs, but lack some of the more advanced features. They’ve got larger decks and engines than smaller models, though, so they’re powerful enough to get the job done. Their deck sizes range from 42 inches to a whopping 61 inches. These machines are what you would typically see at a large park or golf course, because they’re incredibly powerful. As well as a wide-reaching cutting deck and a massive engine, they’re also the most comfortable to ride, because users will likely be on them for a long period of time. They often come with a premium drive system, too, and can go at a much higher speed. That all comes at a cost, though- they cost over double the average residential ZTR mower. However, you do get a lot for your money- some have cutting decks up to a jaw-dropping 72 inches. As fun as they are to use, ZTR mowers can be dangerous if you don’t observe all the necessary safety precautions. However, so long as you keep all the following pieces of advice in mind, you’ll be able to use your new ZTR perfectly safely, and your lawn won’t be at risk of any damage. Before using your ZTR for the first time, ensure you read through the entire instruction manual carefully. There are also often plenty of tips contain within these documents that will help you make sure your mower lasts a lifetime, so take them on board and keep your ZTR mower properly maintained at all times. The one thing that can let ZTR mowers down is slopes. They usually have a 10 to 13 degree limit when it comes to slopes, because over three quarters of the weight is distributed to the back of the mower. That makes it difficult to get up slopes, and puts too much pressure on the front castor wheels when you come back down. If the slope is uneven or wet, then the front wheels will lose traction- leaving you at risk of the mower rolling over or breaking. To stop this from happening, you should buy a pitch and angle reader, which will let you check the precise angle of a slope. If it’s more than 10 degrees, then you should use a regular mower for that particular area. There are lots of things on your lawn that can get in the way of your ZTR mower- from trees and ponds to curbs and hills. While the easy steering of a ZTR mower makes it seem simple to get around these, you should still be careful that you don’t get too close to them, and risk damaging your mower. Keep a whole mower’s width away from these edges- especially from water and concrete curbs. If you go over an obstacle instead of around it, then you could very well wind up doing irreparable damage to your mower. While you will be able to get closer to these obstacles with practice, don’t risk it while you’re just getting started. A ZTR mower is highly versatile, but this can actually damage your lawn if you don’t use it properly. You should have a few practice runs in the center of your lawn before you take the ZTR across the whole garden. Also, be careful not to make too sharp a turn, as this can take a large chunk out of the lawn. Ideally, when you want to make a turn you should slow down as you come to the end of the lawn, and then gently reverse while turning until you are parallel with the strip you have just mowed. This stops you from making large pivot holes all over the lawn, and also allows you to add patterns to your lawn as you mow. Another option is to mow in a forward direction for one pass, and in reverse for the next, alternating until you have completed the whole lawn. When using your Zero Turn mowers, you should always wear face and head protection, and make full use of the roll bars. These lock in place above your head, so that the mower does not tip over onto you. You should also be sure to turn the mower off completely when you’re not using it, and make sure you look before you turn. To keep your lawn looking great, you’ll need to mow it pretty frequently. If you want to make that job a little easier, though, then the Sun Joe MJ401E could be the model for you. This corded electric lawnmower is great for small to medium sized lawns, and costs around $150. It’s packed with features, though, so you get a lot for your money. However, before you buy, you’ll naturally want to know what it offers, and whether or not it’s worth your money. That’s why we’ve put this review together. We hope to help inform you about this walk-behind electric corded lawnmower, and to let you make up your mind about it. The Sun Joe MJ401E walk-behind lawn mower is powered by an electric cord, meaning it is more suited to small-to-medium lawns. It works on both flat and sloped surfaces. Since it is electric, it requires much less maintenance than a gasoline-powered mower. 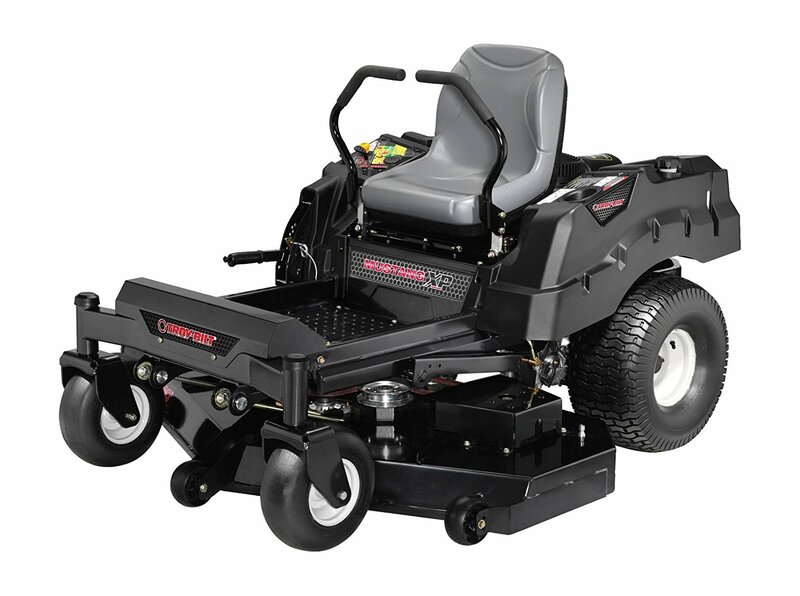 It’s 12 amp motor packs a powerful punch and cuts a 14-inch wide path through the lawn. This size of the motor would normally be seen on a 20-inch model, so it provides plenty of power here. You can also say goodbye to false starts, since all you need to do is press a button, and your lawnmower is ready to go right away. With a 12 amp motor, this lawnmower cuts at 3500 RMP. It naturally lowers when the mower is faced with any obstacles. All the grass clippings are collected up in the mower itself. The Sun Joe folds up neatly to make storage simple. It’s also an eco-friendly mower since it doesn’t produce any carbon emissions. One area where the Sun Joe MJ401E walk-behind electric corded lawnmower falls down, though, is in customization- the cutting height has a pretty narrow range, from 1.18 inches to 2.52 inches. If you like to have different parts of your lawn at different lengths or want anything outside this range, then this probably isn’t the lawnmower for you. There are many other mowers out there with a lot more options. It also lacks deck cleanout and mulching capabilities, and is fairly noisy, operating at 92 dB. If you’re still not sold on the Sun Joe MJ401E walk-behind mower, then great news, the manufacturer will let you try it out for 30 days. If you’re not happy with it, you can take it back to the store for a full refund. It also comes with an impressive 2-year warranty. So if any parts need repairing or replacing during that period, it won’t cost you a penny. Finally, they offer excellent customer support over the phone, so if you run into any problems while using your new mower, you can rest assured that there is someone there to help. The Sun Joe MJ401E walk-behind lawnmower is remarkable light, weighing in at just 29lb. This means it’s remarkably easy to use by young and old alike. When fully put together, the mower measures 61.5 inches x 21 inches x 16.5 inches. You’ll be pleased to hear that it comes with a handy grass catcher. You can easily dispose of your garden waste. There will be a lot of it, because the grass bag can hold over 10 gallons. The hard-top grass catcher easily comes off when you need to dispose of the clippings. The Sun Joe MJ401E also features 5.5 inch rear wheels to make it easy to turn and get into every hook and cranny of your garden. The wheels have been specially designed to handle even the toughest terrain. The cutting deck has been treated so that it’s rustproof and durable. Even when you’re not using it, there are features to help you out. For instance like a collapsible handle and cord lock that allow you to safely and easily store the lawnmower away when not in use. Most Common Problems I encounter with Riding Lawn Mower ? There’s no doubt about it- riding lawn mowers are extremely useful when you have a large area of grass that you need to cut. However, they also come with their own unique set of problems that you might not have encountered before. I’ve put this article together to help educate you about the most common of these problems, as well as a few tips on how I’ve solve them. If you’re not able to do so yourself, then your best bet is to take your riding lawn mower to your nearest repair shop. When the Engine Won’t Crank? This problem is usually pretty easy to solve. Just check that all the safety mechanisms of the mower are working properly- i.e. the mowing deck isn’t engaged, you have the parking brake on, and that the operator is securely seated on the mower. If one of the safety switches hasn’t been activated, then the mower is specifically designed to not start, so as to avoid injury. Another problem that could be causing this is that the battery cable has come loose. This rarely happens, but is easy to fix- just open up the battery compartment and fix the black negative cable to the negative terminal (labelled “N” or “-“), and the red positive cable to the “P” or “+” terminal. Pay attention to the battery acid. Care is required when handling battery acid. Avoid spilling it as it can burn through your clothes and cause severe burns to your skin. RELATED POST: WHAT IS A ZERO TURN MOWER? You can test your battery to check its condition. To do this, check the specific gravity of each battery cell using a hydrometer. When fully charged, the cell should measure approx. 1.250 specific gravity(see your manual for specific level). You’ll also want to make sure that there is enough fluid in the battery- if the fluid level is insufficient, top it up with some distilled water until it is just under the split rings, then charge the battery. If this doesn’t work, then you will need to replace the battery. If the battery is not the source of the problem, then check the fuses to see if any have blown. You can find the location of your mower’s fuse holder in the operator’s manual. Also check for loose or pinched wires, and replace any blown fuses. Finally, check that the ground wire is properly grounded- this is usually a black ground wire that runs to a metal part of the frame or a mounting bolt. However, not all riding lawn mowers come fitted with an engine ground wire to frame. When your Lawn Mower Does Not Start? If your riding lawn mower just won’t start, ensure there is enough fuel in the tank- the engine won’t start when there isn’t sufficient fuel in the carburetor. There is also a chance that the fuel line itself has been blocked- clean out the line and replace the fuel filter, and this should solve the problem. You could also have the throttle or choke in the wrong position. The right position will vary from model to model- check your manual to find the right position for yours. Spark plugs and wires can also come loose, stopping the engine from starting properly. You can check this with a spark plug tester. If this is the cause of the problem, then clean the gap, make sure everything is fitted properly, and replace any spark plugs that are faulty. When Smoke is coming out of the Engine? In the vast majority of cases, I noticed that this is caused by there being too much oil in the engine. Check the oil level, and get rid of any excess oil if the engine has been overfilled. When the excess oil has burnt off, the engine should stop smoking. If the problem continues, then your engine might be losing its crankcase vacuum. This can be caused by a broken or loose dipstick, dipstick tube, or valve cover, as well as alternative internal engine damage. By replacing any defective parts, you will be able to restore the vacuum pressure. RELATED POST: HOW TO CHOOSE A LAWN TRACTOR? When your Lawn Mower is Bagging, Discharging, or Mulching Poorly? There are several ways that you can prevent problems with discharging, mulching, and bagging. Firstly, note that the engine has to be working at full throttle for these functions to work as they should. You’ll also need to set up the deck properly- it has to be level across, and the front must be around 3/8 of an inch lower than the back. If you’ve done all that and the problem still isn’t fix, consider sharpening or replacing your mower blades. When your Lawn Mower Is Not Cutting The Grass Properly? Wet grass, as well as overly long grass, can interfere with the functionality of your riding lawn mower. Ensure you only mow during dry conditions, and if the grass is too long, go over it with the deck at a higher than normal setting first. Mowing slower will also get you a cleaner cut. Finally, try cleaning out any dirt that may have built up underneath the deck. Raven Hybrid Mower MPV7100 review: Maintaining a large lawn ain’t always easy. Most prefer enjoying a nice sunny day on a well cut lawn. However keeping your garden looking great is a task you can’t skip. You can now make it quicker and easier. Thanks to the Raven Hybrid mower Riding MPV7100 Power Generator and Utility Vehicle. A Raven Hybrid mower can be pretty expensive. But shopping around online, you can get it for around with the right price. To find out just what makes this Raven Hybrid mower riding so special, just keep reading this review! The Raven Hybrid Riding Lawnmower MPV7100 Power Generator and Utility Vehicle is powered by both gas and electricity, and starts up quickly thanks to its electric start. Its single cylinder, 4-cycle 13HP engine is an impressive 420cc, which helps to make the mowing that much faster. At half load, you’ll get 8 hours of run time- plenty of time to mow the lawn several times. The generator has a 120V AC voltage, and a 48V sealed lid acid battering. Thanks to the whopping 46-inch cutting width of this Hybrid riding lawn mower, you’ll be able to get the job done even faster. These features and performance levels make it perfect for medium-to-large-sized lawns. It has a foot-pedal-operated DC motor with HD differential transmission with rear wheel drive, and comes equipped with 4-ply turf tread tires. These anti-scalp wheels are 5 inches across. The Raven offers a 14-inch turning radius, so you can mow into all sorts of nooks and crannies. It can reach speeds of up to 17 MPH, while the maximum cutting speed is 6 MPH. RELATED POST: SUN JOE MJ401E LAWN MOWER PRODUCT REVIEW? The Raven Hybrid mower Riding MPV7100 Power Generator and Utility Vehicle comes with multiple warranties. The unit itself comes with a 3 year warranty, the engine with a 2 year warrant, and the battery with a 1 year warranty. It also comes with a handy manual that will help you quickly get to grips with your new riding lawn mower, and if you need any more advice, they also have a useful customer support service that you can contact via phone or email when you need help. The Raven Hybrid mower Riding MPV7100 Power Generator and Utility Vehicle comes packed with plenty of features, as you have the choice of side discharge, mulching, and bagging your grass clippings. The height can be adjusted to between 1.5 and 4 inches, so you’re free to get your lawn just the way you like it. There are an incredible 10 different cutting positions available! You can even mow in reverse, to make mowing as simple as possible. Unlike some other mowers, the Raven operates with a steering wheel and pedals just like a car, so it should come naturally. The Raven hybrid mower riding is also extremely comfortable to ride, thanks to its independent front shocks and suspension. It also has a high-back seat for this purpose, too. When fitted with a trailer, you’ll be able to tow up to 550lbs of wood, bricks, or other loads. The mower’s high-intensity LED headlamps allow you to mow safely even after dark. You can even plug in other appliances into one of the five outlets, so you can do something else while you mow. However, this model is missing armrests and a translucent fuel tank. This Hybrid riding lawn mower is 85 inches long, 44 inches wide, and 50 inches high, weighing 870lbs in total. The front wheels are 18×8.5 inches, and the rear wheels are 20×8-10 inches. It is extremely easy to manoeuvre. Thanks to a 46-inch deck which is reinforced with strong welds. You can rest assured that it will last for many years to come. It provides excellent performance even while mowing tough grass. Furthermore, the deck comes off easily when you need to clean it; Just take out the three pins and plug that keep it in place. The seat is adjustable for your comfort, and there’s also a cup holder. Finally, a handy storage bed allows you to easily transport your tools, or anything else, across the garden. What is the Best Lawn Mower-Tractor? I’m often asked by friends and people around the net “what is the best lawn mower”. I’am always stoned by this question. Because it carries so many layers and so many sub- questions as to what is the best?. We wrote an article a few months ago to show what we thought were some of the best lawn mower under $600. You noted in our title that we were very specific- in this case we used value to define the range but we failed to dive deeper. That’s why still so many questions remain unanswered. In our post “what is a lawn mower 101?” we gave a brief introduction to the lawn mower. So i believe those reading this post are already well familiar with a lawn mower and probably own a couple like we do. If you are not yet well familiar with what is a lawn mower, i will recommend you checking our post. Now lets dive into what is the best lawn mower-Tractor? As we all know the word best is very subjective. It always depends on the individual and the situation. Let us start by defining the word best. From the dictionary the adjective best is define as the most excellent or desirable type or quality. To then select the best lawn mower, we have looked at these characteristics: type and quality. Beyond those two characteristics, you have to define the purpose of the lawn mower-tractor. For example if you are looking for lawn mower to start a business you won’t buy a scotts 2000-push reel as it is totally inadequate. Therefore being specific about the purpose the lawn mower is paramount. If you are not specific, it would be like saying Michael Jordan is the best athlete in the world which is false in my opinion. MJ is the best basketball player of all times. I think you get my point. Purpose: you have to ask your self the question- which type of problem do i want to solve? maybe you would like to start a new lucrative lawn mowing business or you are just looking for a lawn mower to mow your 1 square meter garden. Either way being specific about the problem will help you select the best lawn mower for that case. Price: Price is an important factor unless you have unlimited resources to spend on a mower. The price enables you to keep your range tight. In our post the best lawn mowers under $600 we provided you our selection of what we considered the best lawn mowers. But rather than be vague as most, we were specific including a range and choosing different types of mowers base on quality and affordability. Our selection is suitable for new comers looking for a lawn mower for their garden.If you want a more professional mower, check our post on how to choose a lawn tractor. Type/Quality – The type and quality go hand in hand here. You have to make sure that the model you are choosing is of quality and meets your standards. For instance i’m quite tall, my model needs to have adequate reach to avoid lower back pain. My favorite is the GreenWorks 25022. It meets my standards, it is easy to maintain and provide an excellent work. If you don’t know which type to choose from, check our selection of types of Lawn mowers – In this section, we selected some of the best lawn mowers for you to choose from. Best Lawn mowers features: If you have a lawn, then you’ll naturally want it to look it’s best- and for that, you’ll need the best lawn mower.But just what makes a lawnmower better than all the other options out there? In this article, we’ll talk you through how to choose the right mower based on your needs, to ensure that you make the right choice. The first thing you’ll need to do when choosing a lawnmower is get down on your hands and knees and measure the length of your grass, as well as identifying what type of grass it is. Lawnmowers usually tell you on the box what grass heights they are most suited for, so having this measurement to hand will be extremely useful. Another thing which affects how well your lawnmower can cut your grass is the type of blade it uses, and its cutting style. Your main choices here are reel and rotary mowers. Be sure to look carefully at what each one has to offer. Bear in mind that you will need to keep your lawnmower blades properly maintained, which can cause additional unseen costs in the long run. RELATED POST: WHAT IS A LAWN MOWER 101? You should also be aware that different mowers use different power sources. For the most part, rotary mowers are petrol or electric powered, whereas reel mowers are either electric or operated by hand. Electric mowers can take a while to recharge, so you might want to invest in a second battery if your mower doesn’t come with one as standard. If noise is going to be an issue for you, then you should probably avoid petrol powered mowers. Lawnmowers also come with differently sized cutting decks. The larger your cutting deck, the less times you will have to walk up and down the lawn while you mow it. They can save you plenty of time. As you might expect, there is plenty of choice when it comes to this feature, as everyone’s garden is different. In general, a smaller lawn means a smaller cutting deck. If your garden is mostly short or medium grass, then a reel or cylinder lawnmower will be the best choice for you. That’s because these models are designed especially for frequent mowing, so you’ll have no problem keeping your lawn looking clean and tidy. Reel motors typically include between five and twelve blades, which work like scissors to trim back the grass. They are excellent at cutting, and also include rollers at the front and back to give your lawn that professional look. When it comes to blades, you’ll want to opt for regular blades. As well as giving the grass an even finish, they also collect the grass clippings, which are usually deposited into a bag for easy disposal. For taller grass, rotary mowers are a better bet. They’re also great for irregularly shaped lawns, and mixed grass types. More powerful than other models because they are specially designed for longer grass. The blades chop vertically to make light work of mowing. They also convert the cut grass into mulch, which helps your lawn to grow and achieve a healthy green look. 3-in-1, or mulching blades, are a good time-saver . They produce and spread mulch while they mow, to keep your garden fertilized. Rotary mowers often include a bag, like a vacuum cleaner, in which the trimmings are stored, keeping things clean and making it easy for you to dispose of them. GreenWorks 25302 G-MAX 40V Twin Force 20-Inch Cordless Lawn Mower. WHAT IS A LAWN MOWER # 101? What is a lawn mower? – A lawn mower is a machine use to cut grass. Lawnmowers use spinning blades to cut grass to an even, attractive level. They come in many different types, each with its own strengths and weaknesses. Many of them can be adjusted to cut grass at multiple heights, using a simple lever system that’s easy to master. The cutting blades themselves are propelled by the mower moving forwards. There are two main types of lawn mower: Lawn mower on a vertical axis, and those on a horizontal axis. The former is known as a “rotary mower”, and will typically be powered by an electric or petrol motor. The latter is known as a “cylinder” or “reel” mower, and are often manually operated. Both types have their strengths and weaknesses, which this article will explain, to help you make the right choice when it comes to buying a new lawn mower. By far the most important aspect of a cutting system is just how well it cuts your grass. This will be determined largely by the type and length of grass you want to cut. Rotary lawn mowers are more suited to medium-to-long grass. Thanks to their vertically positioned blades, they can quickly cut away at this longer grass. Many rotary mowers also come with a mulching blade, which gives some of the goodness contained in the trimmings back to the lawn for healthier grass. Mulching blades are often known as “3-in-1” mowers. They do three things at once: mow the lawn, produce mulch, and collect excess trimmings into a bag for easy disposal. Hover and tractor mowers take the rotary model and adapt them for different uses. Cylinder mowers, on the other hand, are more suited to shorter grass. They work better on flat, even surfaces. Cylinder mowers don’t work very well on long grass or weeds. They work by moving the blades in a kind of scissor effect, to produce a nice, even finish on the lawn. They also come with rollers attached, so that the grass is pressed down to produce the popular bowling-green effect as you go. It’s recommended that you sharpen the blades on your cylinder mower regularly for the best results. There’s a lot to consider when buying a lawn mower for the first time. Most importantly, you should consider the size of your lawn and the length of your grass. You’ll also need to think about a few other factors, too. If you hate cleaning up the lawn, then consider buying a mower with a rear box that picks up the trimmings as you go. Since lawn mowers are a lasting investment, you should make your decision carefully before you buy. If you are like me, a mower enthusiast, you had probably like this one too. We all know robot lawn maintenance has been around for a while now. They free us from the lawn heavy chores and allow us to do other things while the lawn is being taken care of. In our section types of lawn mowers, we selected some of the top robot lawn mowers for you. This newest one is the exceptional Kobi lawn care mower. This bad boy is still in production but it has attracted already tons of enthusiast. Kobi lawn care mower is still in pre-order. Kobi lawn care mower is a modular robot 3 in 1. 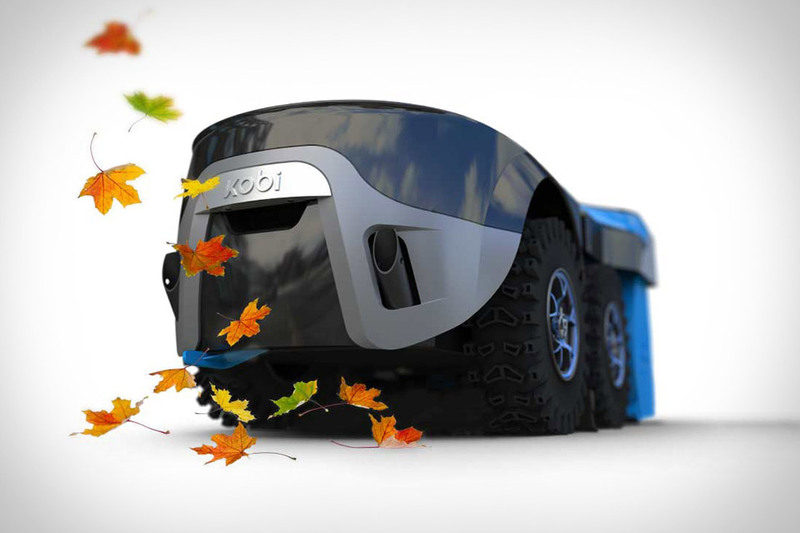 Kobi comes with three different modules: one for mowing your lawn, one for removing your leaves and one for removing your snow. Isn’ that fantastic!! This lawn mower is manufactured by the Kobi company and the current price tag is $4000. The price tag is quite hefty compared to other robot mowers out there. But if you are thinking about the multi purpose that Kobi mower brings, this could be the solution to all your year long lawn problems. The Kobi lawn care mower comes equipped with a silent brush less motors with lithium battery. 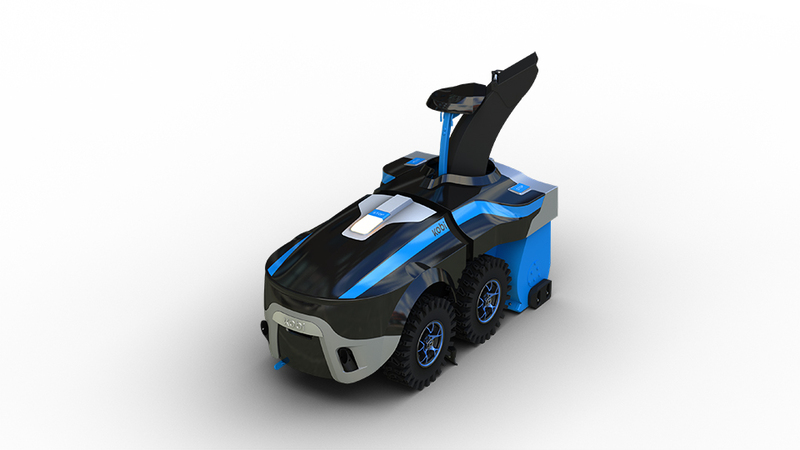 Kobi is fully autonomous and can go up to 2mph. The modular function allows to cover up to 7 acre of lawn, 3 acre for the leaf module and 0.37 acre of snow. Kobi comes with the turf saving tires for the lawn and leaf while the deep lug snow tires are for the snow modules. It has an equipped obstacle avoidance sensor and an anti theft system. Kobi is controlled through an app. It allows the user to track the position of the mower via the GPS integrated tracker. The Kobi lawn care mower can mulch your lawn and throw snow up to a distance of 40 ft. The integrated technology of Kobi allows for a wireless communication and can also forecast the weather for you. The Kobi has thoughtfully designed. It you looks amazing with the mix of blue, black and grey. It is compact, light and do not require much space for store or much time for maintenance. Kobi looks like the best solution for all your lawn problems as it frees your time for several other chores and keeps your lawn healthy.